Premium coconut charcoal made from pure organic coconut husks has a lot more power than conventional charcoal. Would you like to know why? Partly because the environmentally-friendly coconut husk-based charcoal burns four times as long and does not require charcoal lighters for barbecues. Additionally, coconut charcoal is not only of neutral odor and taste, but also does not contain sulfur and emits no sparks when being burned. Premium coconut charcoal means full taste and creates ideal conditions for barbecues, smoking of food and for hookahs! 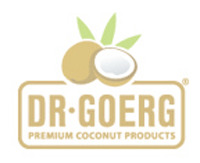 No coconut palms have to be cut down for environmentally-friendly Dr. Goerg premium coconut charcoal because coconut charcoal is wholly made from the husks of organic coconuts that are grown by small farmers and harvested using traditional methods. After drying, the untreated coconut husks are processed for use as coconut charcoal. Premium coconut charcoal in the practical 1 kg pack is just as suitable for barbecues as it is for smoking hookahs. As the charcoal pieces are relatively small with a size of approximately 2.5 cm³, they can easily be used for hookahs to enjoy aromatic shisha tobacco varieties. Neutrality of odor and flavor when burning is another major advantage of using coconut charcoal in hookahs, as it prevents interference with the aroma of the tobacco of your choice. Thanks to its special characteristics, coconut charcoal can also shine in barbecues: Burning four times as long, it guarantees extensive barbecue fun with time to grill up a second or third helping after the main course has been served. Coconut charcoal preserves the full flavor of grilled food because it has no odor or flavor of its own, while the mild smoke aroma (bokhour) creates the slightly smoky flavor barbecue fans are so fond of. Even so, using coconut charcoal for barbecues causes less odor pollution than conventional wood charcoal barbecues. Moreover, you do not need any charcoal lighters. If you would like to prepare tasty starters, fresh salads or delicious desserts to go with your grilled foods, a look at our recipes is worth the while. Get inspired!